Our A-Z of Print Studio is a chance to take a look inside DCA Print Studio and highlight all the creativity that happens within. We've reached the letter L and thought it would be the perfect opportunity to highlight our Laser-cutter! We caught up with two artists, Sam Anderson and Bill Taylor, who regularly use the Print Studio and utlise the laser-cutter in their practice. DCA Print Studio houses a large format, powerful (40 watt!) laser, called a Cadcam FB1530. 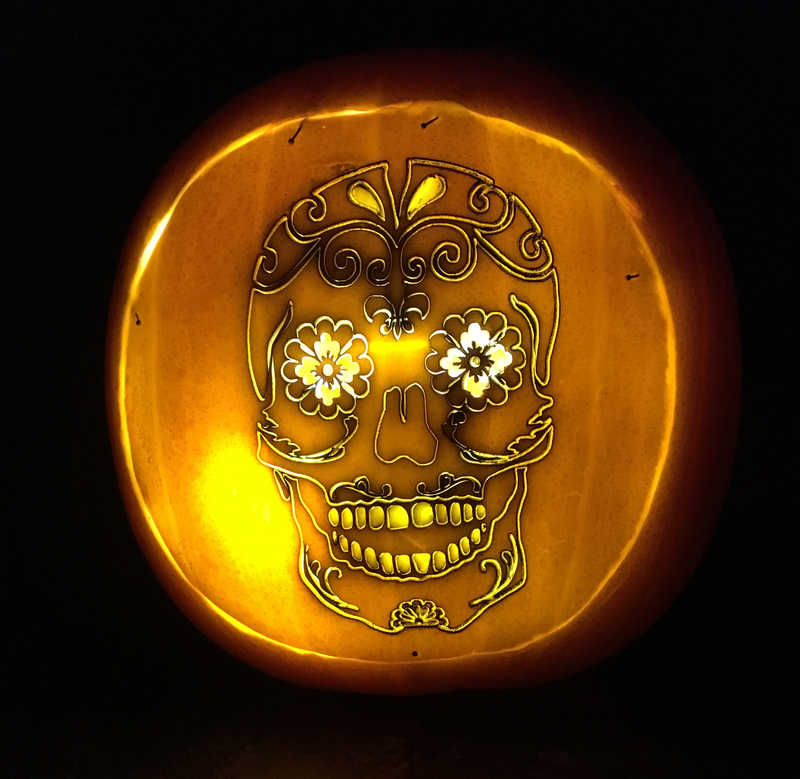 The laser-cutter can be used to engrave hand-drawn, computer generated or photographic images directly onto different types of material: paper, card, wood, Perspex…even pumpkin (when it's seasonally appropriate, of course!). You can then use them as printing plates or to add effects to your work – the only limit is your imagination! 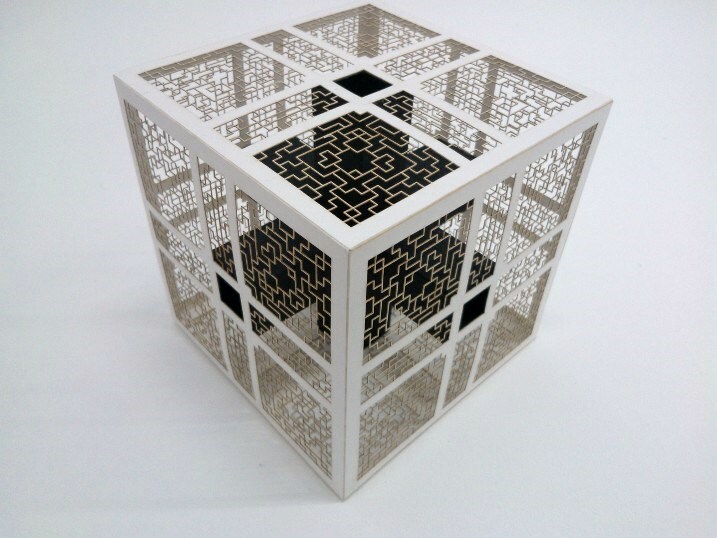 How do you utilise the laser-cutter in your work? Has using the laser-cutter changed what you do? "To begin with, I was a hand cut paper artist. I did this for almost two years at DJCAD University before suffering from repetitive stress injury in my wrist. This meant that for a while, I was unable to work to the volume and speed that I needed. It was at this time the media lab opened in my university and with it came the chance to use a laser cutter. I use the laser cutter with paper for several things. With the straight-line precision of the laser cutter, I can create flat pieces that I then fold into 3D objects. Whereas with a scalpel I could cut paper, I am now able to engrave as well. I also use a technique where I use the laser to burn a top sheet of paper into a sheet one below. Depending on the papers used, this can lead to colour transfer and ghostly images on the bottom sheet. It can give an almost watercolour effect to linework. I think the laser cutter has been able to push me further than I thought I would be able to go. It has changed some aspects of what I do but all positively. Using the laser cutter has allowed me to explore different ideas much faster than traditional cutting. 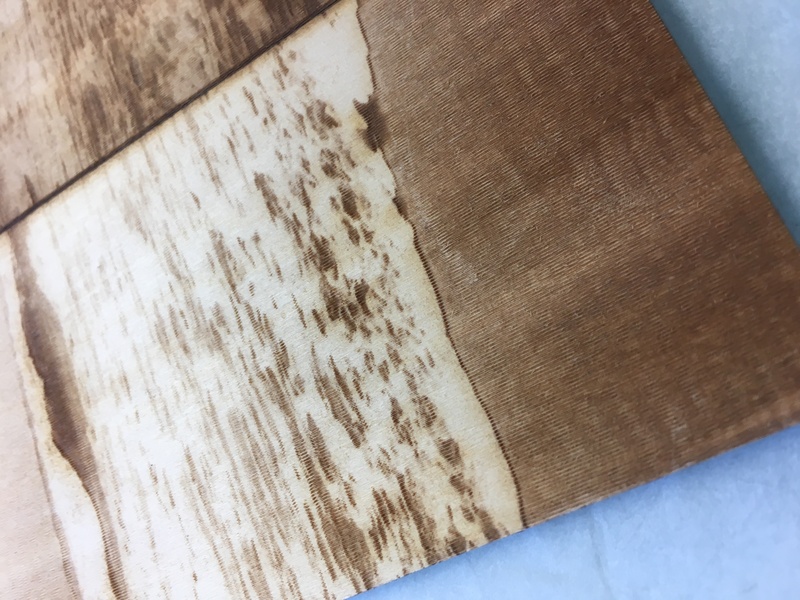 When I started using the laser cutter my idea was, learn what others have done and break their rules and see what I can achieve." 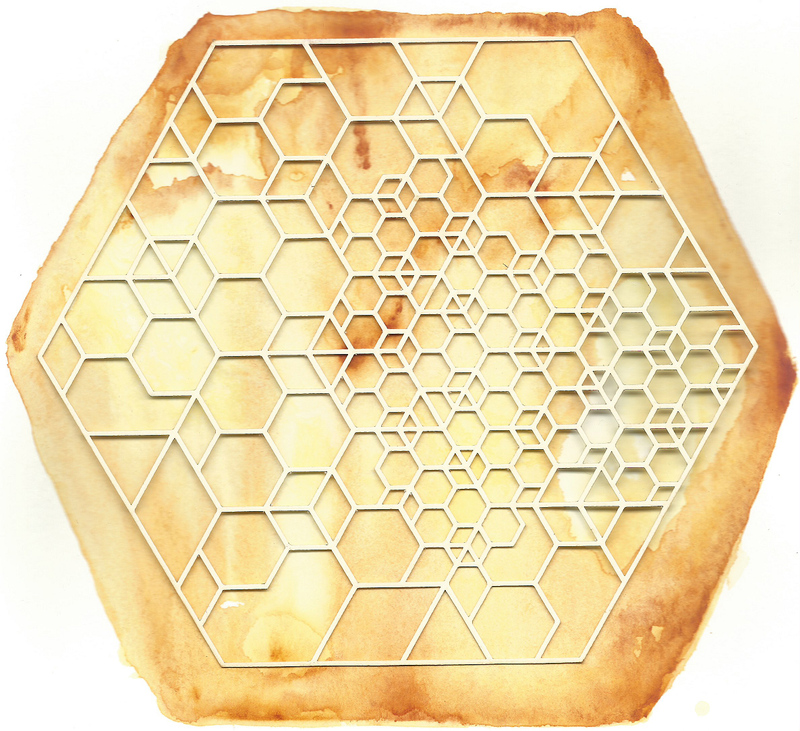 ​Laser cut honey comb pattern, 300gsm white paper over a backing of quinacridone gold watercolour. Sam Anderson, 2018. "My work is a little eclectic. I like to think of it as experimenting with lasers. 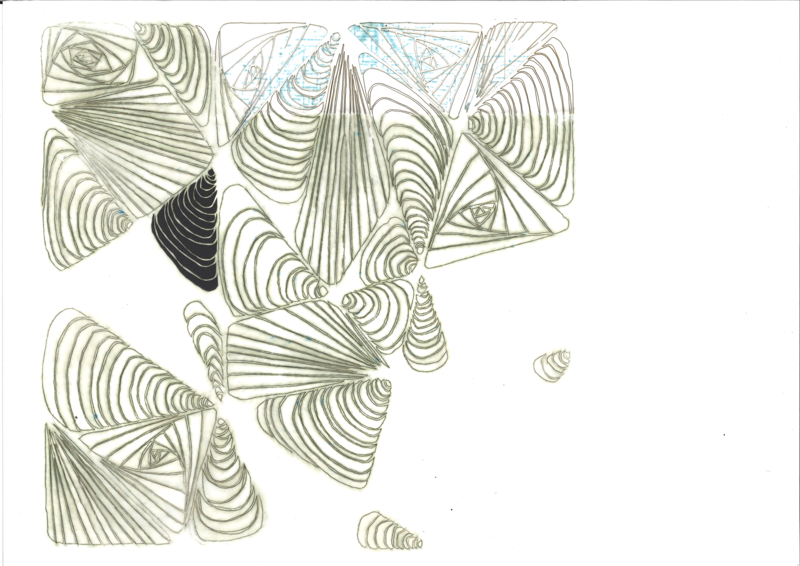 I create 3D shapes, use grids to create geometric patterns and I also use scans of drawings I have made. Using Adobe Illustrator, I can take line drawings and convert them into files the laser cutter can read, allowing me to essentially recreate my drawings on larger scale. What I enjoy about this is using the laser cutter, which is predominantly used for straight lines to create organic shapes. To include mistakes in my work and blow them up. I see it as a mix of human imperfection and machine precision. I also try to keep as much of the pieces cut out from my main works as I like to glue them down to create reverse images of what I have cut." From Laser Book 1: Blue Edition Sam Anderson, 2015/2016. This image shows using left over pieces being stuck down to enhance the pattern. What is your favourite thing you have laser-cut? "For my degree show, I created three 3D pieces. My favourite was a cube I made, which had an intricate outer shell and inside contained a black piece, which touched each of the six sides of the cube. This way made with only two sheets of paper, one white and one black. What makes it my favourite is that I spent time engineering the inner shape and designed the net (a flat version of a 3D object) by myself. Seeing something you have imagined in your head for so long, becoming a reality is one of the biggest highlights of art in general to me." "The laser cutter is a wonderful tool. It is capable of so many different things if you take the time to experiment and find out what you can do. Although it may seem intimidating, I don’t think of it as anything more than a paintbrush or a pencil. It’s a tool we use to create. And it is really fun to use too!" 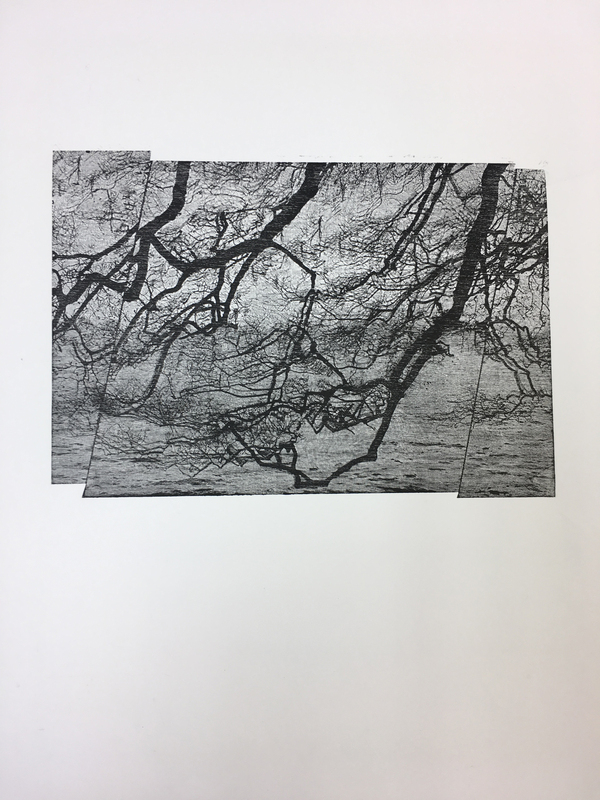 "My current work has developed from an interest in the formal elements present in the landscape - the rhythms, sounds, perspectives, geometries, shapes and shifting patterns. In interpreting these elements, I’ve recently been making geometric “interventions” in photographs I’ve taken in the landscape, mainly in coastal locations. Walking the Coast is my working title for this series of woodblock prints. In the past, in both my painting and printmaking, I’ve tended to work on a large scale and for some time have been looking for a means to work on a smaller scale, but without any loss in intensity. The incredible detail afforded by etching directly into Japanese plywood using the laser cutter has given me the means to do this. As objects in themselves, the laser-etched woodblocks have a unique, tactile quality. At the same time the quality of print made from the plywood surface, with the wood grain in subtle evidence, is quite unique. For me, it’s added an unexpected dimension to the work and as far as I’m aware, the resulting effect is not really achievable by any other means. Thank you Bill and Sam! The laser-cutter sounds like a brilliant tool! Fancy giving it go? 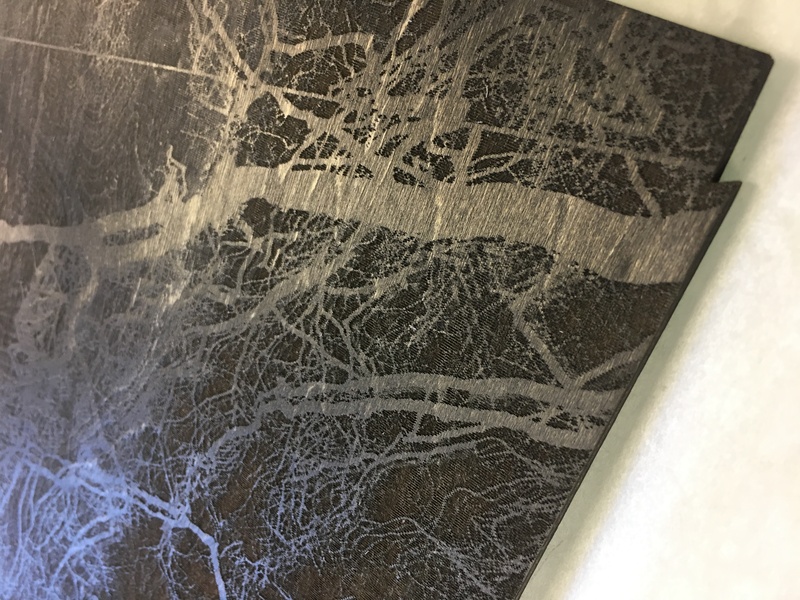 We offer an Introductory course* and a special 'Laser-cutting for Printmakers' course - sign up and be amazed at what you can do (*we know this is currently sold-out but keep an eye out in early December for our new Get Creative guide - new dates will be included! ).